The best way to learn more about caving with us is by emailing our inclusions officer (inclusions@shefcavers.org.uk), or by joining our Facebook group and posting there. For your first caving trip, SUSS will be able to provide you with an oversuit, helmet, lamp, wellies, harness and take you to the cave itself. Warm clothes to wear under your oversuit, such as fleeces or thermal tops and trousers andsocks! It can be very cold inside a cave so you’re most likely to enjoy it when you’re prepared. Don’t wear jeans. If its a wet cave, there will be many regrets with that option. If you have spare gardening or DIY gloves lying around then they can be useful too. A change of clothes. This is to wear after you have been caving. Imagine sitting in the car in wet clothes all the way home. A towel. Could be useful for changing or standing on whilst getting changed. SNACKS. Chocolate bars in sealed wrappers. Yummy. Such as mars bars, snickers….basically something that will give you energy. Money. You may need a few quids to pay for entering cave and for the pub later. Most importantly, before going on a trip make sure to eat and drink enough. And let the leaders know of any medical conditions. Information to make note of about your trip: date of trip, time, meeting place, the cave you’re going to, the leader, second leader and contact numbers. 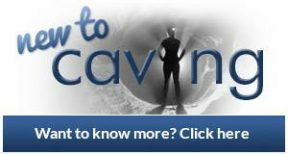 For information about caving as a hobby, visit newtocaving.com to learn more.